Alphabeer is the only event that teaches craft beer lovers about 26 beers - one for every letter of the alphabet. It's a three-hour tour of hops and barley and lagers and ales, and everything is crafted by masters who are passionate about their beers. Breweries from the Great Lakes area, including Michigan, Ohio, Wisconsin, Indiana and of course, Chicagoland, are being highlighted. Special guests will be joining the event to talk about their beers, including representatives from 5 Rabbit, Brewery Vivant, Founders, Goose Island Brewing Company, and New Holland. Chef Cleetus Friedman of Fountainhead is also scheduled to talk about Loudmouth Soup, the beer he produced in collaboration with Greenbush. 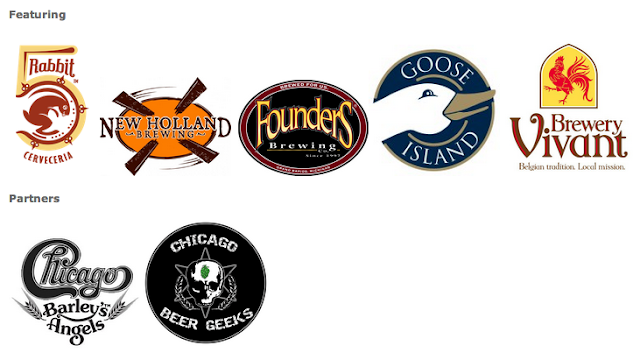 Other guests on the roster are Chicago Beer Geeks and the Chicago chapter of Barley's Angels, a beer club for women. Attendees won't just be tasting the beers. Chef Jill Houk is returning as the emcee, or AlphaBeerMaster, for the fourth time. She'll educate guests on the ABV, the IBU and what to eat with each brew. Notes on each beer are broadcast on multiple screens so everyone can learn their A-BEER-C's. Buy your ticket in advance and save $5. Tickets are $50 at the door. in Chicago and has featured over 200 different beers. and tourists feel the comfort of the local.